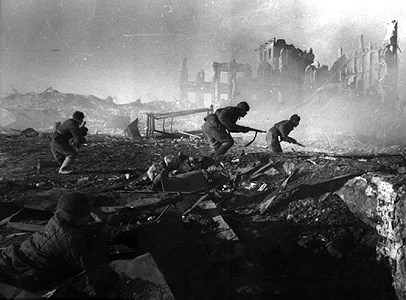 Not only was the Battle of Stalingrad one of the bloodiest conflicts in human history, it also marked the turning point of World War II. Following the Russian encirclement and annihilation of the entire German Sixth Army, a force several hundred thousand men strong, the tide of the war turned inextricably against the Axis. From that point on Soviet forces began their relentless march on Berlin, forcing a German retreat through Eastern Europe and the eventual destruction of Hitler’s Third Reich. But victory at Stalingrad came at a terrible cost. 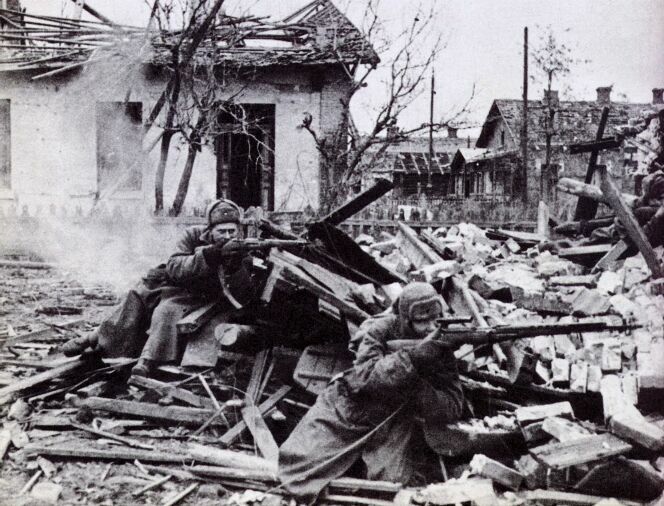 By the end of the siege in February 1943 over 700,000 Soviet soldiers were dead. The bedraggled remnants of the Sixth Army, some 90,000 freezing and half-starved men, were marched off into years of captivity in internment camps and gulags. In their efforts to survive some were prisoners were driven to cannibalism, just as the beleaguered residents of Stalingrad had been at the height of hostilities, and in the end less than 10,000 of the German soldiers and officers captured ever returned to their homeland. 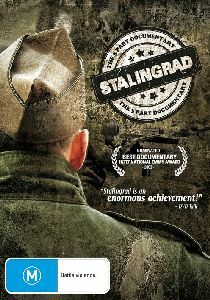 Nominated for a 2003 International Emmy for Best Documentary, Stalingrad – The 3 Part Documentary stands as the definitive visual record of this terrible conflict. Comprised of interviews with surviving soldiers, nurses and citizens, period propaganda from both Germany and Russia, news pieces and, most movingly, several soldier’s own Super-8 footage of the battle, the series provides a fascinating, tragic and endlessly contradictory picture of life at the Front. The narration is thoughtful – at one point the fighting in Stalingrad is described as ‘positional warfare in a wilderness of debris and rubble,’ which is as neat an encapsulation as has ever been offered – and there is very little recycled footage for a documentary of this length. Survivors of the atrocities are allowed to speak in their own words, and this Region 4 edition, unlike some others released internationally, contains subtitled, not dubbed interviews. Documentary filmmaking at its finest, the series contains previously unseen footage and documentation released from Russian vaults, uncovers new historical facts and stands as both a remarkable introduction and a compelling dissection of the motives, execution and aftermath of Hitler’s doomed Operation Barbarossa. Featuring digitally restored archival footage, impressive 3D reconstructions and presented in a 16:9 HDTV aspect ratio, Stalingrad – The 3 Part Documentary boasts admirable sound and video quality and is as balanced and captivating a study as is ever likely to be produced on the topic. The sole extra on the local release is Views of Volgograd, a beautifully shot (if somewhat brief) 3-minute video montage comprising footage of the present-day site on which Stalingrad once stood. Shots of the Mamayev Hill memorial, with its eternal flame and names of the dead, are particularly affecting.